Specially formulated for POCLAIN hydraulic systems. All types of hydraulic systems, hydrostatic transmissions, actuating cylinders working in very severe conditions, hydraulic systems operating at very high pressure, within important temperature variation: Construction machinery, farm machinery, industrial equipment...Suitable for all types of pumps: axial pistons, radial pistons, gear systems, blades. 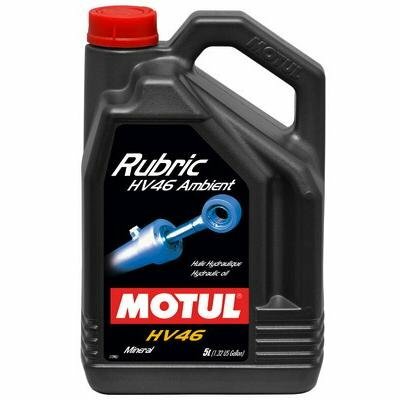 If you have any questions about this product by Motul, contact us by completing and submitting the form below. If you are looking for a specif part number, please include it with your message. Universal Tractor Hydraulic Fluid, 5 Gal. EnviroLogic - E022255 - Gear Oil, Biosynthetic Ep 222, 55 Gal. EnviroLogic - E016855 - Hydraulic Fluid, Biobased 168, 55 Gal. EnviroLogic - E0306855 - Hydraulic Fluid, Biobased 3068, 55 Gal.